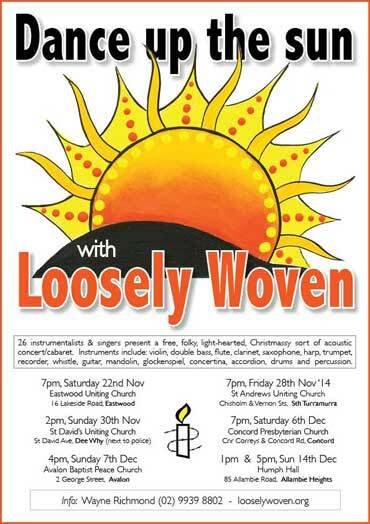 Loosely Woven is a community based group of people who put together and perform two to three brand new shows each year. 'Dance up the Sun' is the third of these for 2014 with 26 instrumentalists and singers. 'Dance up the Sun' is named after the opening song by John Thompson which recalls the way Morris Dancers 'dance up the sun' on the 1st May each year. Instruments this time will include violins, double bass, flutes, harps, glockenspiel, guitars, mandolin, trumpet, didgeridoo, concertina, accordions, keyboard and percussion.Full details are available on the Loosely Woven web site. Check out the Loosely Woven video clips on YouTube! 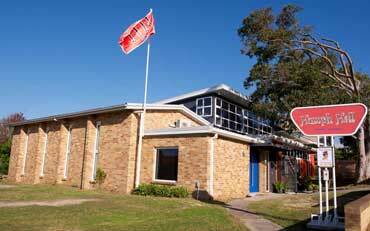 The 5pm Humph Hall performance on Sunday 14th December will be filmed and uploaded to YouTube.